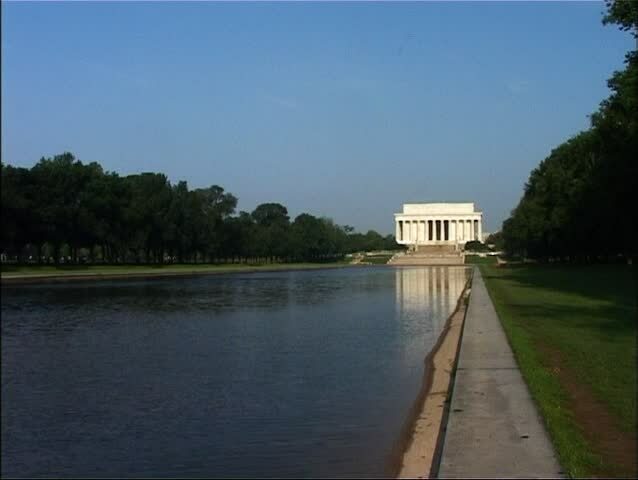 Wide shot of the Lincoln Memorial from the bottom of the Reflecting Pool. This iconic image of Washington DC is located on the National Mall directly east of the Lincoln Memorial. 4k00:15Beautiful clear sunset time lapse view of a mosque by a lake at dusk in Putrajaya, Malaysia. 4k00:17Hot Air Balloons floats across the Putrajaya Lake with calm reflection in Putrajaya, Malaysia. Time lapse. Motion Timelapse Zoom Out. 4K.